Unbeaten welterweight talent Roberto Arriaza (15-0, 12 KOs) goes up against world ranked contender Sammy Valentin (13-1, 10 KOs) this Friday night in the Boxeo Telemundo 10-round main event (11:30 PM ET). Arriaza, who is from Nicaragua but conducted his training camp in Los Angeles, is perhaps facing the toughest challenge of his young career. Not only is he challenging a strong puncher in Valentin, but the featured bout has championship implications, as Valentin’s WBO Intercontinental Title will be on the line. Valentin currently sits as the No. 12 ranked welterweight by the WBO and has bounced back nicely since losing his NABO title to Giovani Santillan last July (Santillan is promoted by Thompson Boxing). 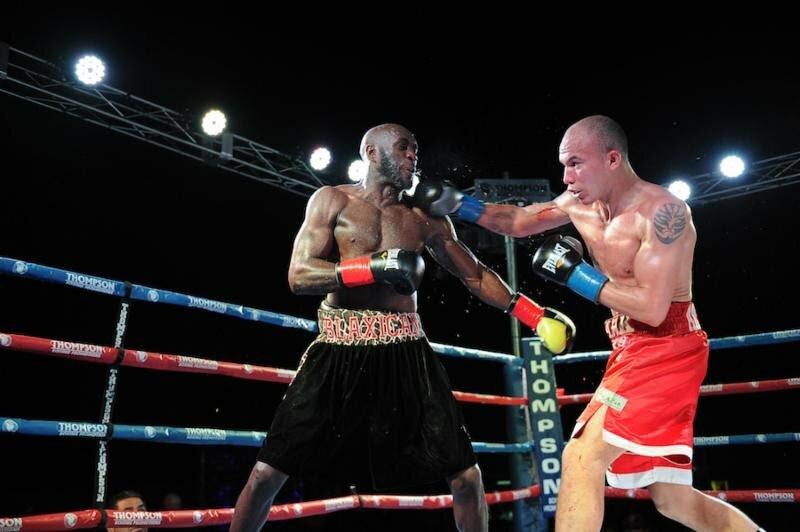 He knocked out the previously unbeaten Alejandro Barboza in November. “Hurricane” Sammy Valentin vs. Roberto “Dinamita” Arriaza is brought to you by All Star Boxing, INC., in association with Thompson Boxing Promotions. The event takes place from the Bryan Glazer Center JCC in Tampa, Fla. Tickets are available for purchase at the box office, or by calling 813-454-7800. The Bryan Glazer Center JCC is located at 522 N. Howard Ave., Tampa, FL 33606.